First a caveat: my blog has detailed entries on college admissions going back about five years, at this point. My current policy is to keep most of my posts up, as a kind of archive of college application information and also because there are only so many essay types that the colleges can offer. Certain kinds of prompts show up every year, and in many cases, I have already written about the prompt type. This kind of analysis continues to be useful. We are currently in the 2014-2015 application cycle, so use caution when visiting college admissions websites–at least for the next two weeks (I am writing this on July 21st, 2014; August 1st, 2014 is the date most app sites go live, with this year’s prompts and information). Only a limited number of universities have so far posted this year’s prompts, or have confirmed that they will be retaining this year’s prompts–look below for more on these. On the other hand, I have dozens of old posts on topics like writing about books, or on how application essays are evaluated or on how to write essays that don’t look like the typical, boring, five-paragraph essay format taught in high school. These posts are still useful, so they should be read, by anybody who has to deal with an essay on a book or idea that interests them, or who wants to know how essays were and still are evaluated, or who wants to write a good essay that isn’t a rote exercise. By all means, read and use posts like these; just don’t send Chicago an essay on the mantis shrimp this year. The 900-Pound Gorilla Tag-Team of College Admissions includes Naviance and the Common Application. This is due to the large number of colleges using both, and the fact that Naviance currently operates in coordination with the Common Application. This tandem has become somewhat controversial, partly because it starts to look like a racket when so many students are directed to third-party organizations when they apply to college–organizations that take a cut of application fees–and partly because the Common Application web portal was such a disaster last year. I hasten to add that I am sure the Common App people have their act at least somewhat better organized this year, but the trouble last year went on, literally, for months, and forced a number of big-name colleges to extend application deadlines. In a way, this actually benefited some students, who were able to keep working on essays and other information, but at the cost of considerable stress. 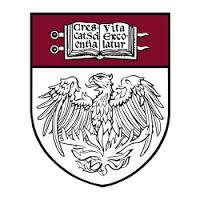 College applicants next year will have more application options as the University of Chicago is joining the Universal Application. These are all prompts for this year, which is the 2014-2015 application cycle–this is your application cycle if you are a rising senior/will be graduating from high school in 2015. That’s all for now. I will be back soon with some thoughts on application trends and will be posting on a variety of essay prompts for popular colleges in the coming months. If you need college advising or essay editing help, I am currently fully booked from roughly August 1st-15th, but will have editing slots open in the second half of August. Good luck and good writing.